The Women Who Knew inspirational series. Download the free 60-minute program by clicking here. The two popular books combined into one...All the stories from the two books listed below put into chronological order resulting in a powerful walk through Jesus's earthly ministry through the eyes of the men and women who encountered Him, were healed by Him, were forgiven of their sins. People just like us who knew ... as long as there is a Savior, there is hope. Continue to walk with the Savior in the companion volume to Women Who Knew. Heather Horrocks brings these twelve New Testament men to life, as they walk beside Jesus, listen to His words, leave their nets to become fishers of men, drop their burdens of sin and sickness at His feet. Who are they? Actual men who lived on the Earth during the Savior’s life and ministry, some Apostles, others disciples, all flawed in their humanity. A wise man finds a toddling Savior. 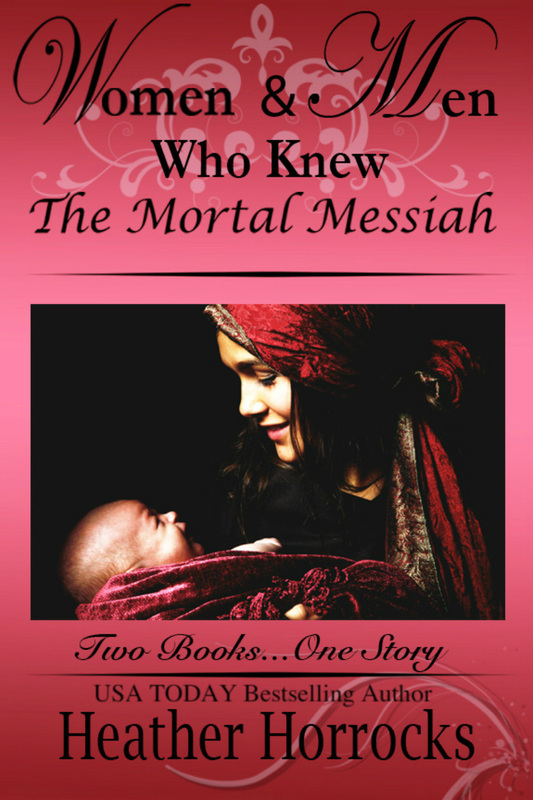 Joseph, the husband of Mary, is entrusted to lead the young Messiah. A seller of doves in the temple is found in the wrong place. A man sick with the palsy is forgiven of his sins. The man possessed by Legion is freed. Peter walks upon the water. A father’s faith falters. A blind man is healed on the Sabbath. A leper is made whole. Judas Iscariot betrays the Savior with a kiss. The thief on the cross believes. The risen Christ speaks with Simon Peter. John watches Christ’s Ascension into heaven.